This is one of the rare films we’ve all been waiting for…Project Florida. Produced in 1970 the film was presented on NBC’s The Wonderful World of Disney, following the conclusion of The Adventures of Bullwhip Griffin Part 3 on January 31, 1971. 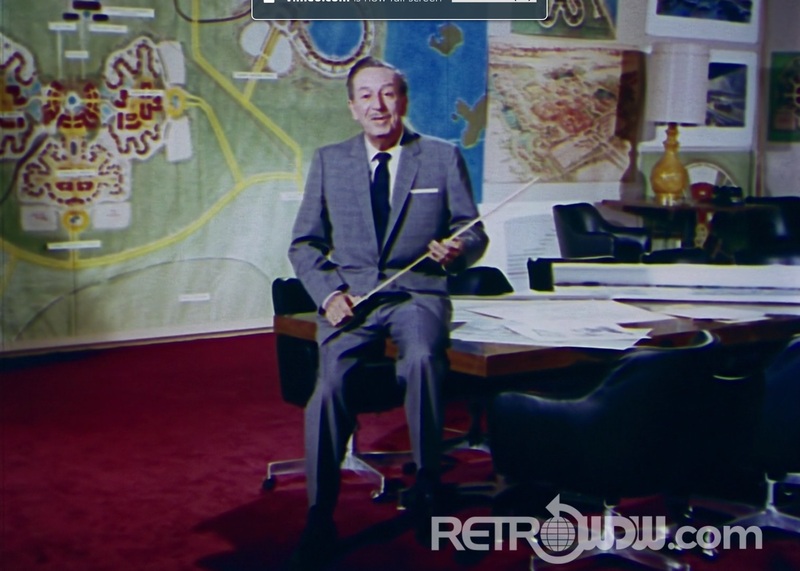 Its primary goal was to educate and excite the public about the construction and details of the soon-to-open Walt Disney World. 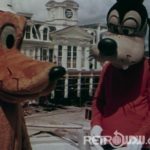 Since then, the film in its entirety has been oddly absent from any other formal or informal presentation means, sans a screening on May 24, 2011 at D23’s Destination D. Other than that, the only viewable footage was a horrible VHS to digital transfer on YouTube, so bad that at times you forget its even in color. That has all changed…by chance we were able to obtain an original 16mm print of the film that was stored properly and was in great shape, but we had a minor problem – all the audio was in Portuguese. After scanning the film frame by frame in HD we implemented filters to stabilize, remove grain/scratches/dirt, crop, sharpen and color correct the film. Then our own How Bowers took the low-quality existing available audio and performed audio restoration, removing the warble and background noise as well as equalizing. The last step was the hardest, matching the frame rate of the Portuguese film (filmed at 24fps) to the timing of the English audio. Put it all together and what you get is the most pristine version you have ever seen of this film. You are truly going to be amazed and will see more detail than you ever have in the past. 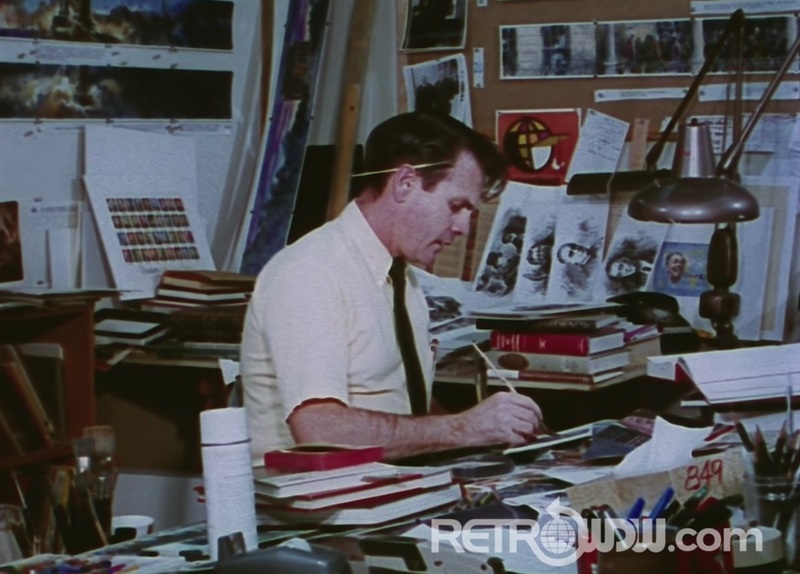 The film starts off with a quick look at the Project Florida planning room, this may have been a set, but the models are real. So much to see! 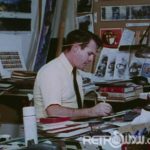 Part of Walt Disney’s EPCOT film takes us through the next four minutes, we’ve all seen it before, but you’ll see details you’ve never encountered before. Up next we get an amazing view of the preview center, concept art and concept models. The film then explains how Roy took over construction and takes us on a tour of the land; this project back then was a huge deal and it is seriously emphasized in this film. You see some amazing helicopter flybys of the Magic Kingdom, resorts and golf courses. Imagine if you could take a drone over WDW construction; this is how clear some of this footage is and how smooth it came out. 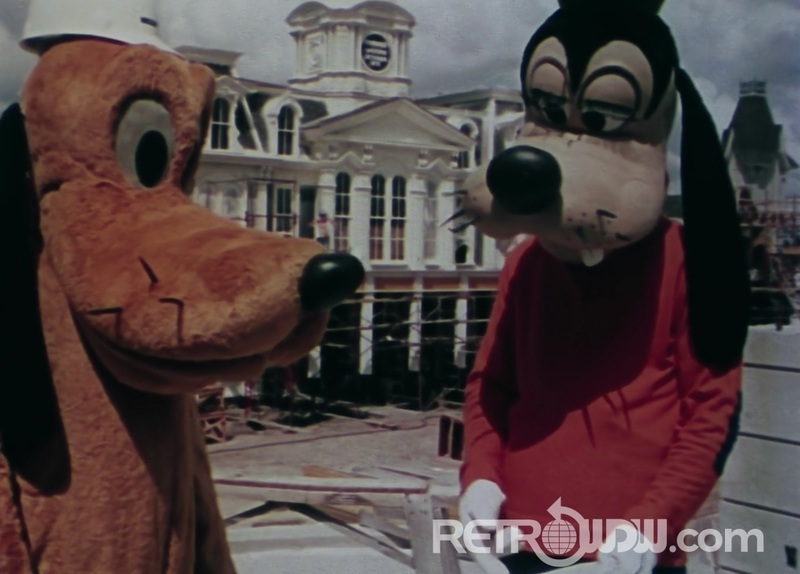 Next we are treated to some scenes filmed at WED while they were developing and manufacturing the audio animatronics, soon we’re reminded that Opening Day is October 1971 and Pluto and Goofy hand us off for “trick photography” showing us the speedy process of construction before simulated fireworks take a backdrop to a hand drawn castle silhouette…Fade to black. 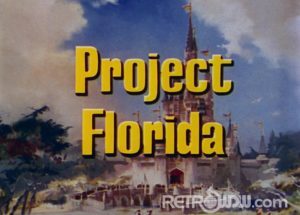 When you consider how large of a project this was for Disney, Florida and the country, this film was all part of the hype and projected impact this all would have. Industry, tourism, the economy – they all are at play here and this film does an amazing job capturing the size of what was going on in central Florida. 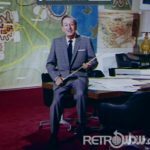 The originally planned hotels, monorail construction, set designers back at WED and even the early footage of Walt that has become so famous; all of these pieces of footage are clearer and better than any of us have ever seen. We hope you enjoy Project Florida like you never have before! This is wonderful! It’s so much better than the awful version that has been floating around. I actually bid on this when it was on eBay. I’m glad that you all were the ones who outbid me. Considering I don’t have the scanning resources that you all have, this is the best possible outcome. Thanks again for all of the work you do! 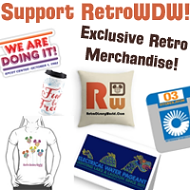 All that work to restore it, then you ugly it back up with that giant ‘retrowdw.com’ bug. I won’t begrudge you putting a bug on the video but does it have to be so large? Thank you for hosting such a beautiful site! My family makes the trek to WDW every odd year since 1983. Our best memories were staying two weeks at the vacation villas overlooking Lake Buena Vista and pleasure island beyond . we loved those lakefront condos. 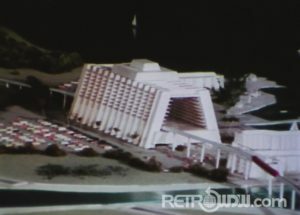 I’d forgotten about some hotel concepts that never materialized. Thank you for a wonderfully restored gem of a film.